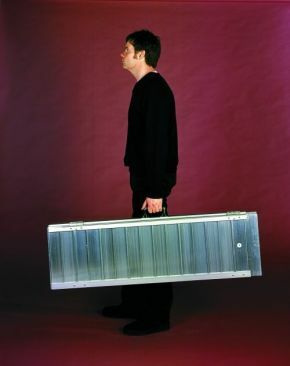 Aluminium Suitcase Ramp Lightweight and Very Portable. If you’re looking for an innovative, affordable portable ramp solution – look no further. 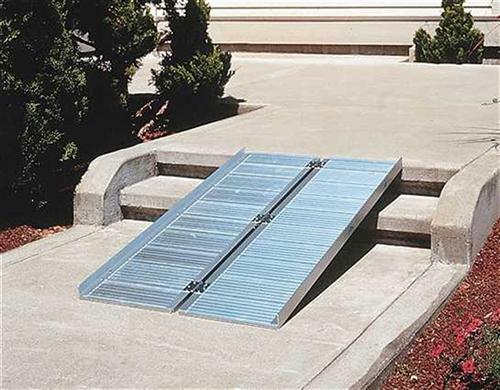 This feature packed item is designed to bridge the gap over steps, curbs, and raised landings. It’s an Aluminium Suitcase Ramp, and, as its name suggests is a lightweight, very portable ramp that can be folded in half and carried like a suitcase. 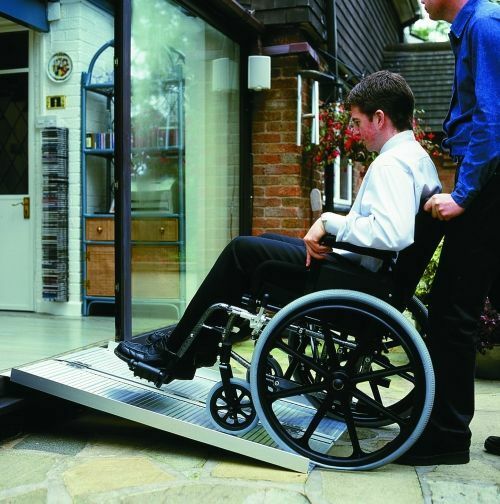 To use, simply unfold the hinged ramp, and position for maximum safety and support. Suitable for scooters and all wheelchair types, and available in lengths from 2ft right up to 6ft. The 5 and 6ft lengths are also suitable for use with most minivans.